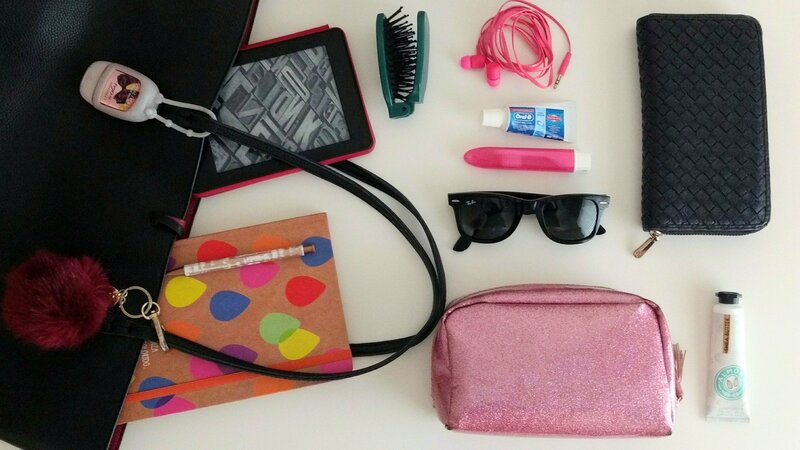 I’m always interested to see what other girls have in their purses, so today I thought I would share my own “what’s in my bag” post! I normally use one big bag for my every day and I alternate between smaller bags to go out or on the weekends. 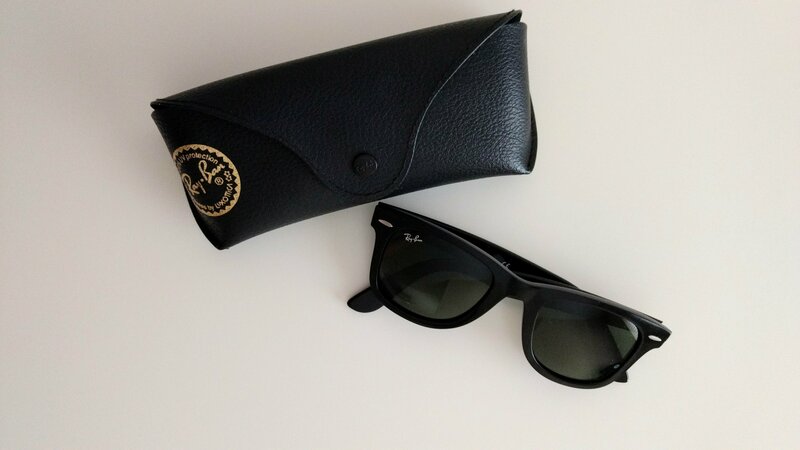 Sunglasses: the one I am using a lot lately is the Rayban Wayfare, it is basic so it goes great with almost all my looks. 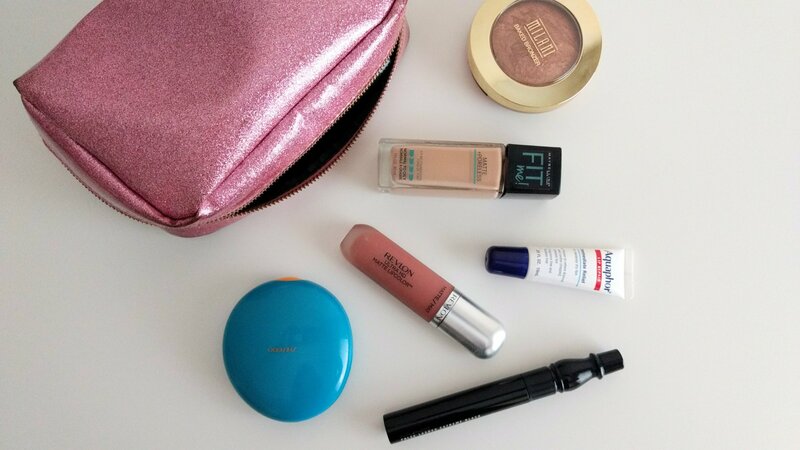 Makeup bag: I always have with me the basics makeup, such as foundation, blush, powder and lipstick. Sometimes I leave my home in the morning and end up being all day out, you never know when you will need a retouch on your makeup. Antibacterial Gel: not every place you go you have a restroom to wash your hands and specially if you being out the hole day, it is always good to have it with you. 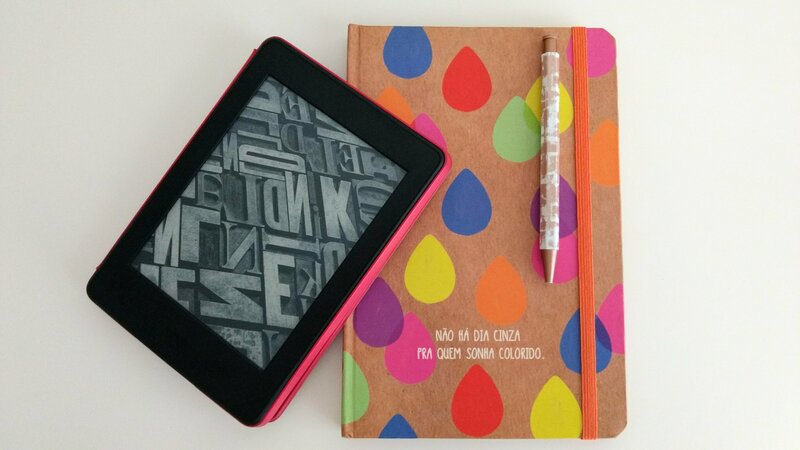 Kindle: one of the best gifts I got from my husband, I always carry with me! What is better than read a book while you are waiting for a doctor appointment? Small notebook and a pen: I started to carry a notebook with me when I was doing fashion design college, sometimes you have an inspiration or you want to write something. This notebook is super special, one of my best friends gave to me when I moved to U.S.! I also have on my purse my wallet, earphones, hand cream, tooth brush, tooth paste and hair brush.